To secure the crown as the first in the world to launch 5G network, Korean government, hardware and wireless carriers joined forces to move up the commercial launching date to April 5. A high-ranking government official said on Thursday the 5G service launch will begin on April 5 as all stakeholders finally agreed on the adjusted schedule. 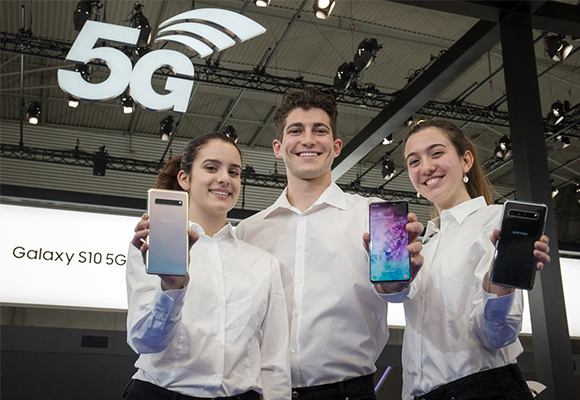 Samsung Electronics announced on the same day it will ship 5G-enabled Galaxy S10 models to the country’s wireless carriers without pre-order sales starting April 5, while telecos are preparing to roll out their 5G service plans that cost 50,000 to 70,000 won ($62) per month, about half the price planned by Verizon. The Korean government decided to open Korea 5G Day on the same date to celebrate the launch. There had been questions about the launch of 5G service in Korea which was originally scheduled for March after the government rejected the expensive 5G price packages of local carriers and delay in Samsung Electronics’ 5G version in Galaxy S10. But the related parties have expedited the launching process to match its reputation as a leader in global 5G standards after U.S. telco Verizon announced its launch on April 11. Samsung Electronics’ Galaxy S10 5G is expected to be retailed at around 1.5 million won. The government and the country’s three major mobile carriers are in talks over the level of 5G service plans, which would be concluded before April 5.